Elvis Presley + opera + dance numbers = why you live in NYC. 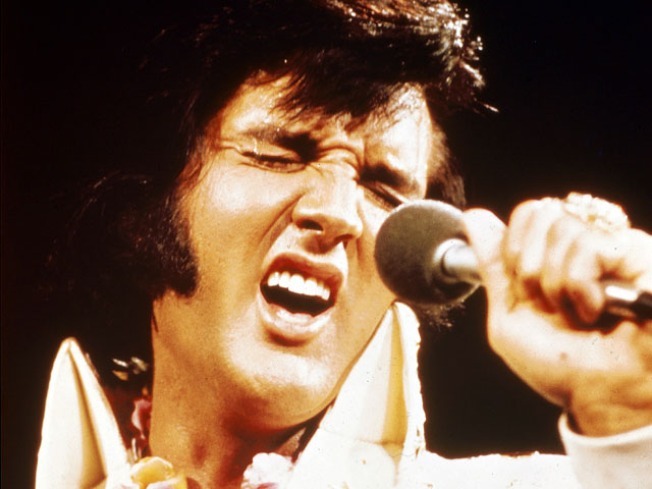 HOUND DOG: It's the 33rd anniversary of Elvis Presley's death, and South Florida will pay homage to The King by reminiscing and reliving his days of rock, soul, leather and even the black and white flicks. Chris McDonald and his full band will transport you to Elvis' Graceland at the Broward Center. Click here for tickets. 8 P.M.
90's FLASHBACK: They're back! Even though their new album doesn't come out until August 31st, the GooGoo Dolls will probably give you a sneak peek during tonight's show. The band brings their Inner Machine tour to Bayfront Amphitheater. Tickets are still available, just click here and you're one step closer to jamming out under the moon of Miami at this al fresco venue. 8 P.M.
GALLERY WALK NIGHT: It's the second Saturday of the month, so that means the Design District is welcoming you to walk through the galleries to check out art, listen to music, sip some cocktails and chow down at one of the area's fabulous restauraunts. 7-10 P.M..